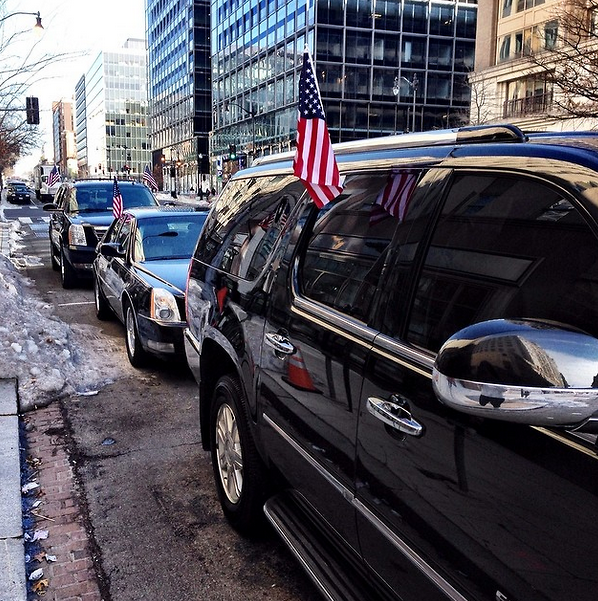 Ride Like A President With Your Very Own #Ubercade! All you have to do is request an Uber Black car between 10am and 3pm today for a chance to be driven by one of the five Ubercades throughout the city. Your drive will include being driven in a Cadillac DTS and escorted by two Cadillac Ecalades--complete with Uber "Secret Service" Agents. You will look like an absolute boss. Uber cannot be held responsible for the influx in your ego that may result after driving in your very own motorcade. Proceed with caution.